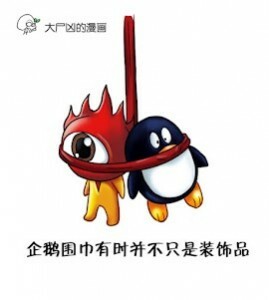 “Sina Weibo: Hey Twitter, how did you keep your government’s hands off you? Some Chinese netizens are not satisfied with this attitude. As early as November 2011, some of them wrote an open letter[zh, en] to Sina’s investors which urged investors to cut their shareholding in SINA, because “the Chinese government’s policy on Weibo has a significant effect on the prospects of Sina”. Sina is probably aware of this, but the government can eliminate it with just one political decision, so what is Sina’s real power? The new Chinese government may or may not shut Sina down after October, but the recently published draft update of the government’s “Methods for Governance of Internet Information Services” [zh] points to harsher policies on weibo services. So it is quite clear who is in charge in this bizarre power triangle. China-India Media Mediation, from the Institute of South Asian Studies (ISAS), Singapore, Singapore. The Challenge of Social Media in Security Policy Institutions: A Note of Caution, from the NATO Defense College (NDC), Rome, Italy. Weibo and “Iron Curtain 2.0” in China: Who is Winning the Cat-and-Mouse Game, from East Asia Institute (EAI), Seoul, Korea, South. Great report. Keep up the good work.